FOX Broadcast Network To Air 10 Prime-Time Marquee Fights Yearly Featuring The Sport’s Biggest Stars – FS1 and FOX Deportes Telecast 12 Fight Nights Annually, Plus FOX Sports – PBC PPVs and Significant Shoulder Programming Added. LOS ANGELES – FOX Sports today announced it has reached a landmark four-year, multi-platform agreement with Premier Boxing Champions (PBC) making FOX Sports the preeminent broadcaster for PBC’s top-tier championship fights featuring its biggest and brightest stars. The announcement was made by Mark Silverman, President, National Networks, FOX Sports and Alan Haymon, President and CEO of Haymon Sports, creator of the PBC series. With the four-year deal, the FOX broadcast network will feature 10 marquee fight nights in prime time each year, while FS1 and FOX Deportes will telecast 12 fight nights annually. The package includes FOX Sports-PBC Pay-Per-View events. The Emmy Award-winning FOX Sports production team will produce all the live events and more than 175 hours of original PBC boxing content per year across its channels. To build anticipation for each fight, FOX Sports will surround each fight night on FOX, FS1 and FOX Deportes with top-level ancillary programming including multiple episodes of behind-the-scenes shows on FOX, fight-countdown preview shows, press conferences, fighter face-off shows, weigh-ins and prefight and postfight shows on FOX, FS1 and FOX Deportes. This programming line-up also includes two studio-based PBC-branded shows a month on FOX and FS1, with PBC boxer interviews and profiles. Fight cards will have televised preliminary fights on FOX, FS1 or FS2 and FOX Deportes. All PBC on FOX Sports events and programming will be streamed live on the FOX Sports app, available in English or Spanish through the FOX, FS1 or FOX Deportes feeds. FOX Sports will offer a platform inside the app to allow viewers to stream the PPV events. In addition, boxing and the PBC will be prominently featured across the FOX Sports website, apps and social platforms. FOX Sports and FOX Deportes will announce on-air personalities, as well as upcoming airdates and times soon. 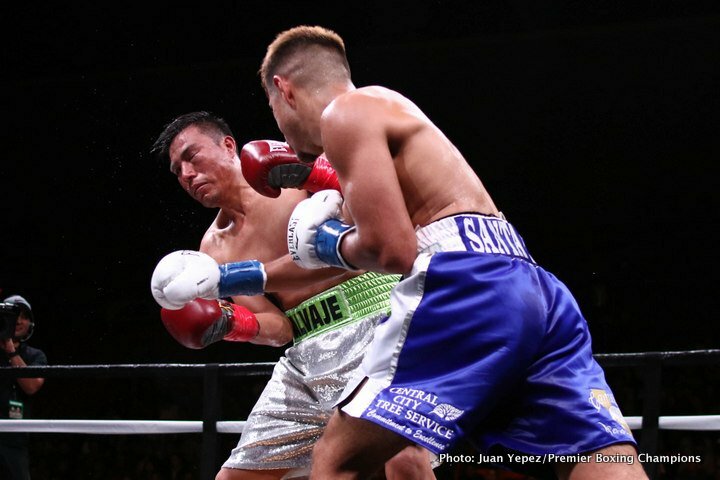 FOX Sports and PBC launched the highly regarded primetime boxing series TOE-TO-TOE TUESDAYS on FS1 and FOX Deportes in the fall of 2015, featuring PBC’s brightest up-and-coming boxers. The deal was expanded to include several fight nights on the FOX broadcast network, including exciting title fights such as heavyweight champion Deontay Wilder defending his title in February of 2016, July of 2016, and again in February of 2017, plus the exciting welterweight showdown between Danny Garcia and Robert Guerrero in January of 2016.